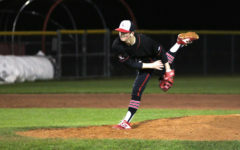 Senior Nathan Fallon delivers a pitch from the windup. 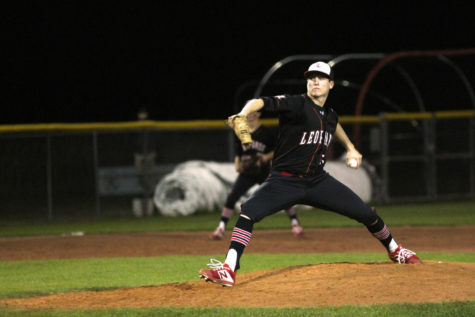 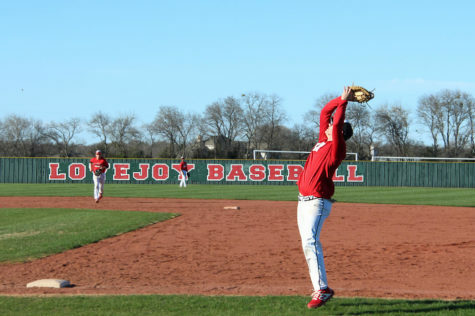 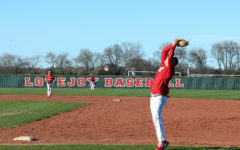 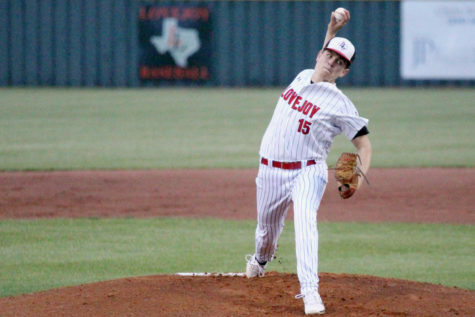 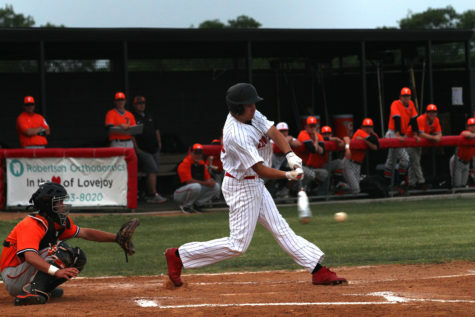 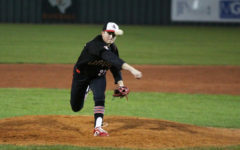 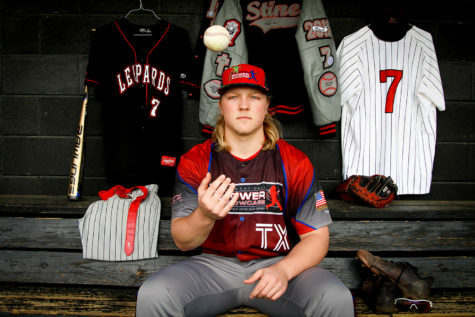 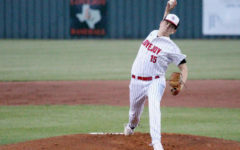 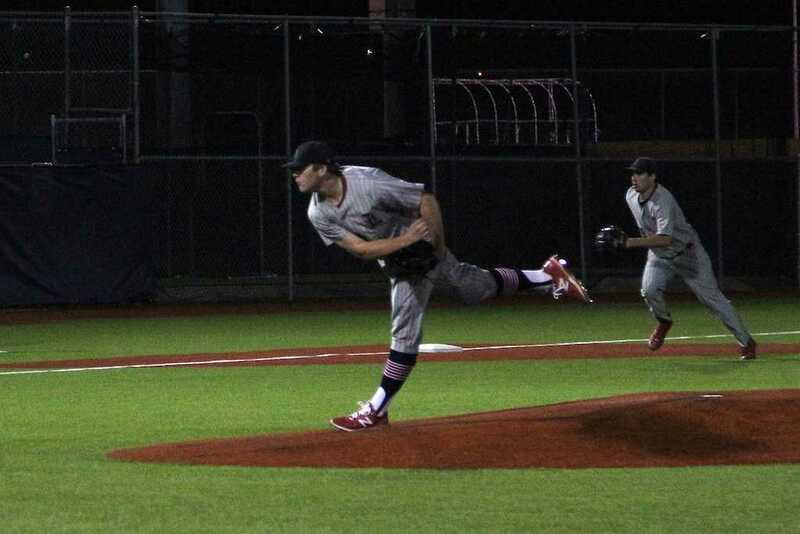 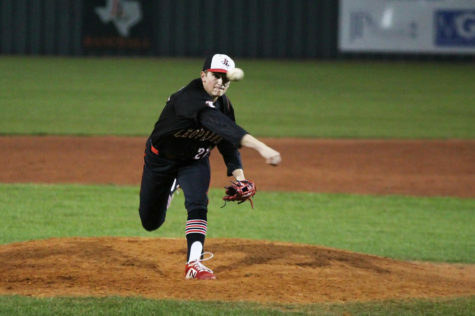 The baseball team (13-10, 3-4 in district) will face Wylie East tonight at home at 4:30 p.m. as the Leopards look to break a three-game losing streak. 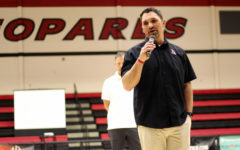 With half of the season over, head coach Jason Wilson said that he is comfortable with where his team is at but stressed the necessity of a win on Friday. 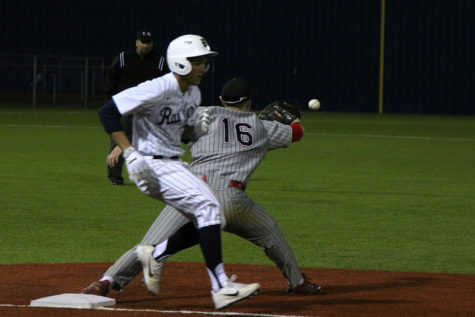 The team fell to the Raiders 7-1 on Tuesday after allowing seven runs in the first inning. 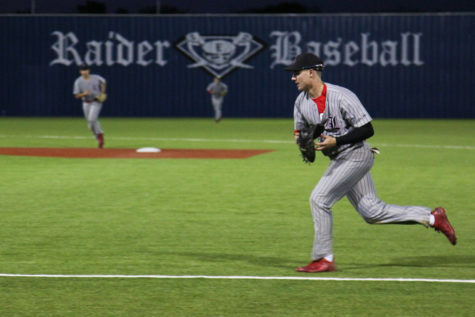 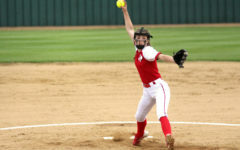 The Leopards scored only one run in the top of the fourth, despite out-hitting the Raiders 6-5. 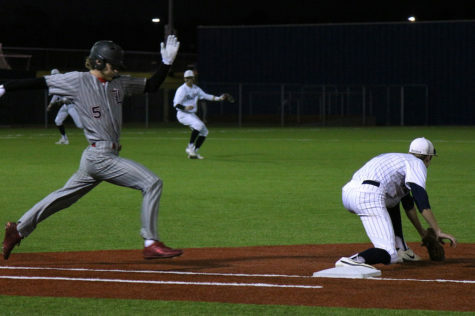 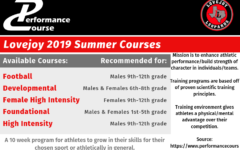 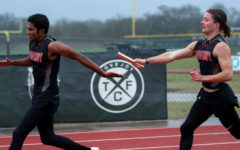 Having played three of the top four teams in the district already, the team’s remaining schedule (versus North Forney (9-10, 2-3), Mesquite Poteet (6-15, 1-6), and Royse City (13-12, 3-3)) is somewhat easier compared to the first half of the district season. 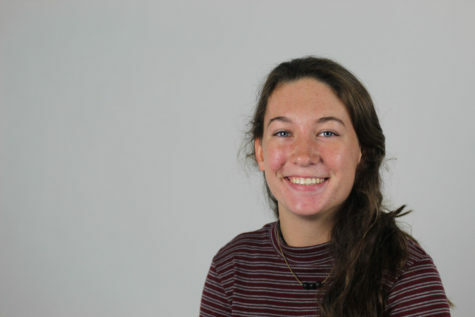 “We’ve had sort of a rough start, but I believe we can make a run and still finish high in the standings and be successful in the playoffs,” senior Luke Howell said.